Discharge and oncarriage of Siemens Power equipment with 2 HL, 80 MT from Norrköping to Marza el Brega. Destination is Zuetina 103 A-D in Libya. The transport is one of many to this area performed by TransProCon. A survey by TransProCon reveals fair route facilitys to the site, but also that the crane to be used is not in any condition for the lift to the fundament. 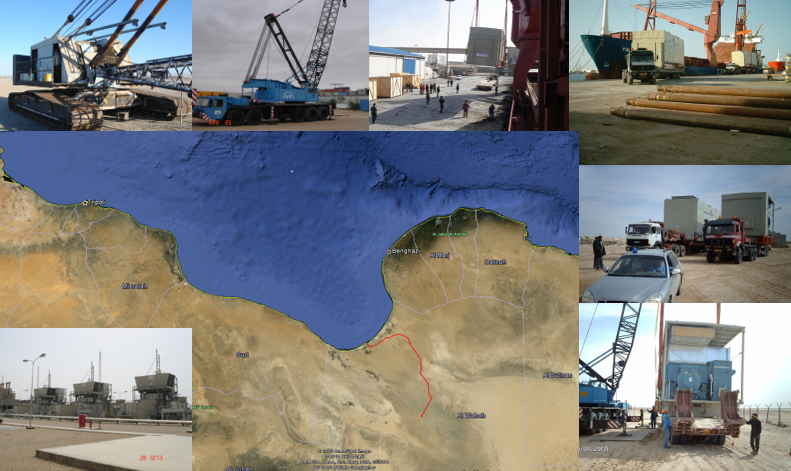 TransProCon succeeds in finding a suitable availiable crane to employ locally, despite shortage of resources in the region. Finally the Gasturbine/Generator could be placed on the fundament as planned and to be followed by 9 additional shipments.